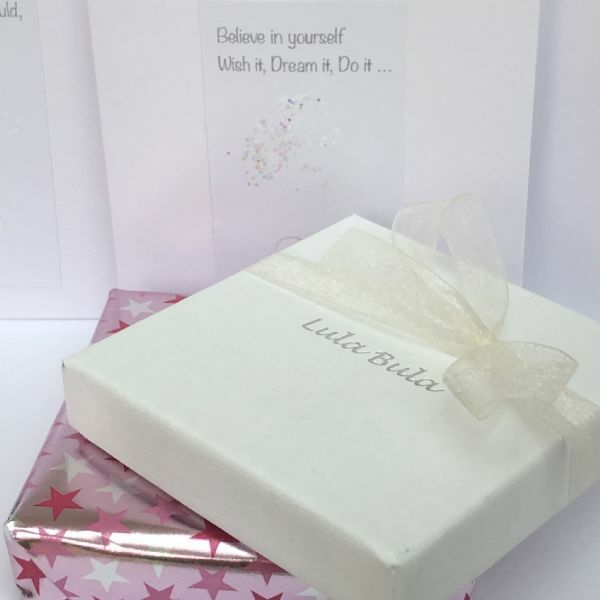 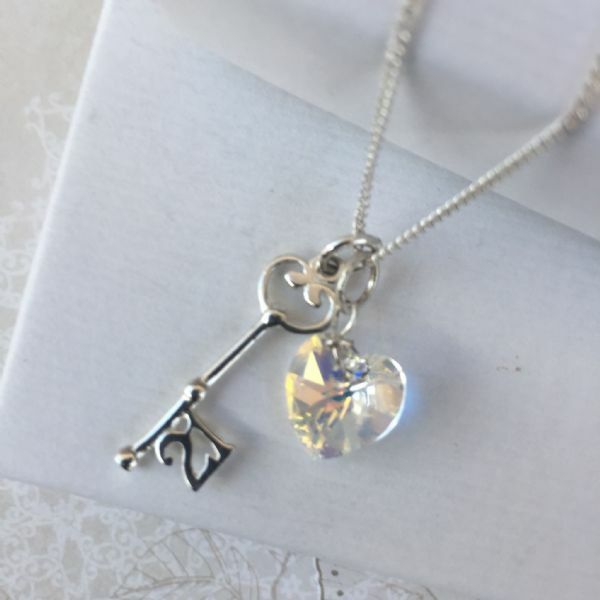 Our gorgeous 21st birthday necklace has a sterling silver script style 21 charm (measuring approx 1.2cm x 1.2cm) or a sterling silver 21st birthday key (measuring approx 1.4cm x 1cm) and a swarovski crystal heart shown in clear (ab) but available in any favourite colour or birthstone colour of your choice. 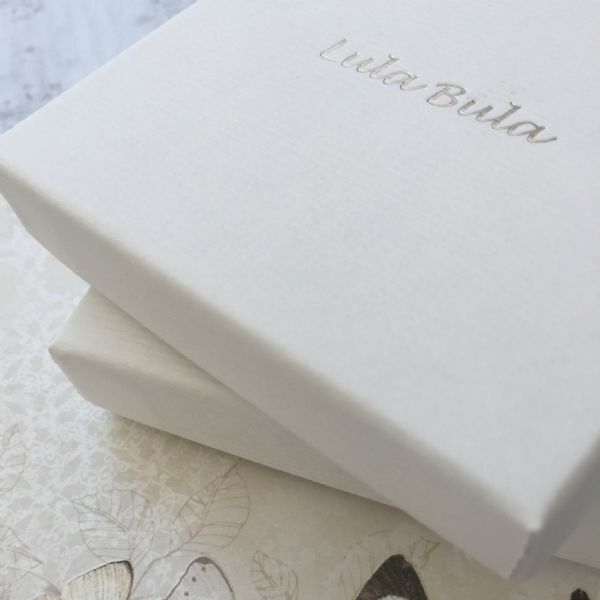 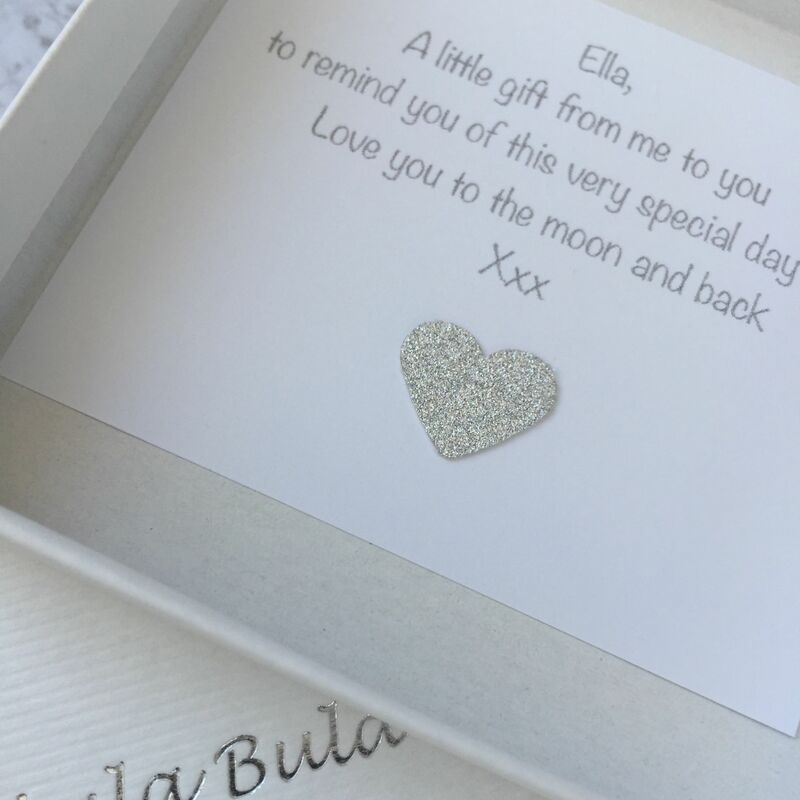 A unique keepsake 21st birthday gift that is sure to be treasured forever. 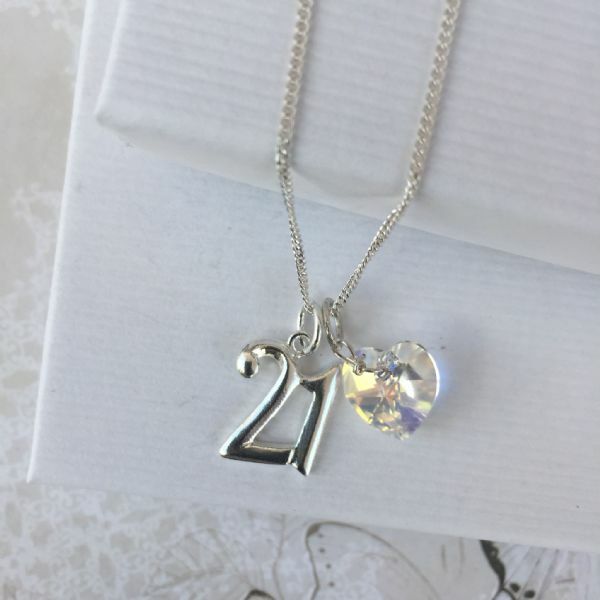 Sterling silver chain - this 21st birthday necklace is available with your choice of sterling silver box chain or curb chain in 16" / 18" lengths.